The FX3U-ENET Ethernet module allows software, such as Fernhill SCADA, to monitor and control a Mitsubishi FX3U PLC using an Ethernet network. 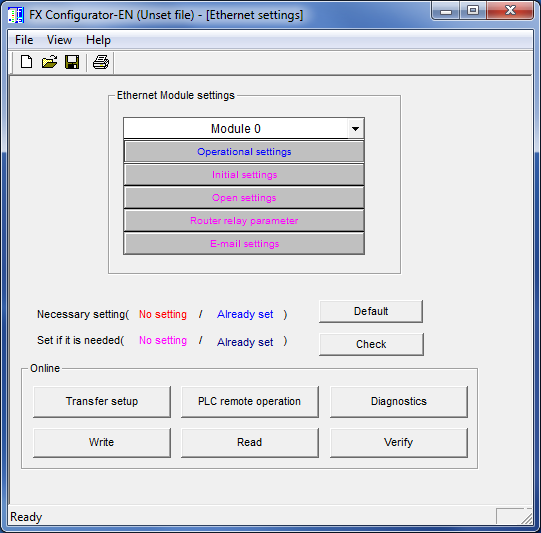 The FX3U-ENET Ethernet module must be configured before it can accept connections from external software. The aim of this article is to guide you through the configuration process. Configure the FX3U-ENET Using FX Configurator-EN - Use a tool provided by Mitsubishi to configure the module. Configure the FX3U-ENET With a Ladder Program - Use a ladder program to configure the module. Once you have configured the FX3U-ENET module you can then Configure Fernhill SCADA. Transmission target device Port No (DEC): 65535. 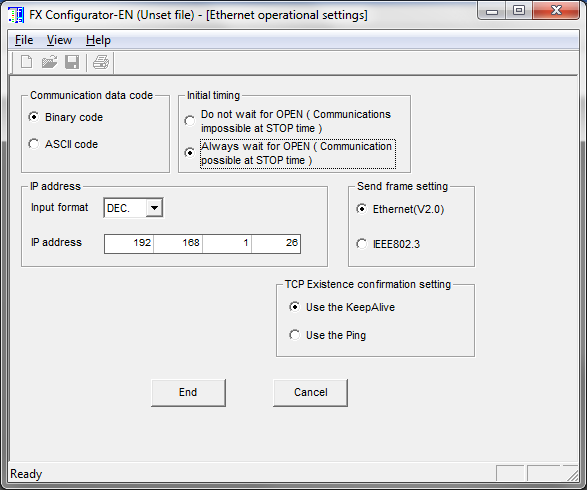 If the Connection interface is not correct, click Transfer setup to configure the correct communication path to the PLC. 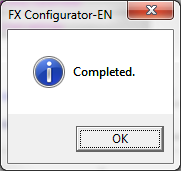 Click OK to close the Completed dialog. If you do not have access to FX Configurator-EN you can configure the FX3U-ENET module using a ladder program. The FX3U-ENET configuration is stored in the buffer memory (BFM) of the FX3U-ENET. You can write the configuration to the buffer memory of the module (BFM) using a ladder program. As a minimum you will need to configure both the Operational Settings and the Open Settings. 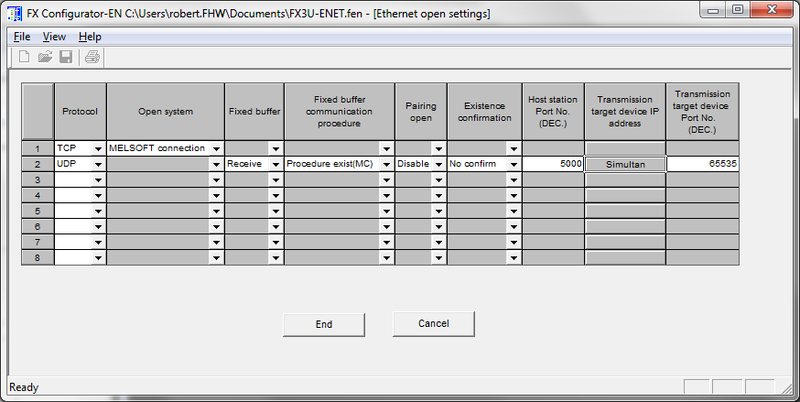 This example shows how to configure the FX3U-ENET module using an FX3U PLC program. The M8002 contact is set once on the first scan, which ensures the configuration is written only on the first scan. After the first scan the program has minimal overhead. For more information refer to FX3U-ENET User Manual.